When you are comfortably sitting at home and all of a sudden experience an all-out dental emergency, it’s easy to panic. There are some questions that are common when it comes to emergency dental work, and others that you may have struggled to find answers to. Time is of the essence, and it is important to have some guidelines and tips for exactly what to do when a sudden occurrence rears its head. 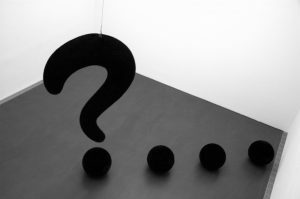 For the various situations that can arise and issues that many patients have, here are some questions and answers that will steer you in the right direction as far as common situations are concerned. Having the knowledge to proceed with information such as this will leave you feeling a bit more steadfast, strong, and informed. I have a broken or chipped tooth. What do I do? Even if the tooth is not painful yet, it’s important to make sure you see a dentist right away. 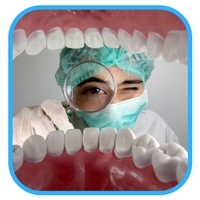 The internal and delicate areas of the tooth may now be exposed to different types of bacteria in the mouth. If the tooth is left unprotected, this could quickly lead to new decay, and the dentist has to evaluate right away how serious the problem is. A dental emergency is characterized by pain, any sudden swelling, and a large amount of discomfort. Usually when the patient determines that they cannot help themselves, it is important to understand that oral health problems seldom fix themselves, and they won’t just quickly go away. If you have knots, swelling, or bulges on your gums you also may be experiencing a dental emergency. How can I remove an object caught between teeth? If you happen to get a piece of food or any other very small object wedged between your teeth, you can try to very gently remove the object with dental floss. You should not use anything that is extremely sharp, like a pin around your teeth as it may cause damage. 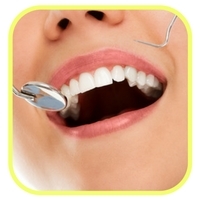 If what is there cannot be removed by dental floss, contact a dentist soon to schedule an appointment. If you rapidly lose a filling, call to get to the dentist at the soonest available time you can. At your grocery or pharmacy, you can find dental cements that are good to use as a temporary gap while you are waiting. You can also use sugar-free gum to cover the cavity, but it is very important to make sure it is sugar-free, because if sugar is introduced into the area around the cavity, it can cause very severe pain. What are my options for relief when it comes to a Toothache? If you are awakened by a severe throbbing, you can brush and floss your teeth to remove any food fragments that are on your teeth. Aspirin works well for the pain, but you definitely do not want to put it directly against the gums where the aching tooth is. If the pain persists for more than a few days, call a dentist immediately, it may need an extraction. There are other home remedies such as putting garlic and clove oil on the affected teeth, but they are known for only providing temporary relief. When this occurs, you want to go to an emergency dentist immediately, and try to avoid touching the tooth. To make sure that the root is not damaged further, hold the crown of the tooth gently, and rinse it in water carefully. Don’t try to scrub the tooth, because you need to protect the root by keeping the tooth intact. If you can, try to insert the root of the tooth back in its socket, but be very careful. If this doesn’t work, put the tooth in a cup of water or milk to keep it wet. Make sure that you contact a pediatric or emergency dentist as soon as possible, because someone with their experience is the one to best judge the plan of attack. A baby tooth should not be replanted, because of the potential for damage while the tooth continues to develop. What is the best way to take care of a jaw fracture? This is an injury that absolutely requires immediate medical attention. Keep in mind that an emergency medical team might be able to reach you a bit quicker than the time it could take you to get to the hospital: a severe head injury can be life-threatening and incredibly dangerous. This kind of thing is probably not covered by dental insurance it would fall under medical so be aware of that. What is the best way to deal with noticeable swelling? Swelling is usually due to an infection, and if said swelling is causing you to have difficulty breathing, or causes you eye to become swollen, you definitely need emergency dental care right away, and you may need antibiotics. Don’t put heat on an affected swollen area, as this may cause the infection to spread more quickly. If I have anxiety when dealing with the dentist, is it possible to be put to sleep? If you feel it’s necessary, nitrous oxide sedation can be used among other types of sedation for anxiety. It is nothing out of the ordinary to have anxiety when going to the dentist, and if you are facing a dire emergency, the potential for pain may unnerve you even more. Dental X-rays have only a very small risk, and every emergency dentist or family clinic will take extra care to make sure that children are only exposed to very limited radiation. High-speed films are used in most clinics to limit your exposure, and help promote safety. Thanks to the advent of modern local anesthetics, root canals can now be a very nearly painless procedure. Root Canals tend to get a reputation since the infection leading up to the need can be painful, but once the strong numbing agent is on your teeth, you won’t feel a thing! Should I be Concerned if my Tooth is Sensitive to Cold? When this happens, it is usually a sign of gums that have begun to recede, or a nerve that is symptomatic. For receding gums, you will want an evaluation from a dentist, because it may be a sign of gum disease. If it is related to the nerve issue, it could eventually lead to an abscess, and you should see the specialist immediately. Toothaches: Sometimes a dangerous sign of an abscess, a toothache can be a dull throb, or a sensation that you notice more on the outer edges of a tooth. Without seeing the emergency dentist, toothaches usually get worse, and you need x-ray diagnosis and professional attention right away. Chipped or Broken tooth: This can happen during exercise, action sports, or any other type of quick movement that results in a shot to the teeth. Particularly nasty and painful if acquired by falling on concrete or another hard surface, you may need to apply gauze to the area for about 10 minutes or until any intense bleeding stops. You can also apply a cold compress to the outside of the mouth, cheek, or lip near the broken tooth to relieve pain as well as swelling. Knocked-out tooth: Not just an injury that hockey players are prone to, this is a very unsettling and sudden occurrence that can jar even the steadiest of folks. Definitely do not force the knocked-out tooth back into the socket, and make sure it is kept in water or milk until you can see the emergency dentist. The teeth that have the highest chances of being saved are ones that are returned to their socket within 1 hour after being knocked out. Extruded or partially dislodged tooth: When you encounter a tooth that has been partially knocked out, you need to see your dentist right away. Until you reach the dentist’s office, apply a cold compress to the outside of the mouth or cheek. An over the counter pain reliever can provide great help in easing pain and keeping you comfortable. Objects caught between teeth: When this happens, you can first try using dental floss to gently and carefully remove the object. If you can’t get the object out right away, see the dentist as soon as possible. After a few days, plaque and other harmful substances can build up quickly, so this should be treated as a serious emergency as soon as it is recognized. Lost Filling: When this occurs you definitely need to see the dentist as soon as possible. Sugarless gum stuck into the cavity will relieve pain, but the dentist will be the best judge of a plan for efficient repair. Lost Crown: After this occurs, you need to see a dentist as soon as possible, and make sure to bring the crown along. If you can’t get to the dentist right away and the tooth is causing pain, Clove oil can be used to help the sensitive area. If possible, you can try to slip the crown back over the tooth. Definitely don’t try to use super glue to hold the crown in place, as toothpaste or dental cement will work better. 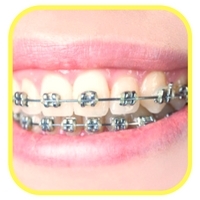 Loose Brackets and Bands: You can temporarily attach loose braces by using orthodontic wax, by placing it over the braces to provide a cushion. Definitely make an appointment to see the orthodontist as soon as possible, because some spacers that are missing may need to be replaced right away. Abscessed Teeth: An abscess is an infection that occurs around the root of a tooth, and also are known for showing up between the gums and teeth. These can cause very serious damage, and are usually characterized by a very dull and unpredictable ache. If you are looking at your gum and see a pimple-like swelling, this is definitely when you need to see the emergency dentist as soon as possible. Another tactic to ease pain is to rinse with a mild salt water solution just a few times a day. Soft-Tissue Injuries: Injuries to the soft tissues can take place in lips, gums, cheeks, and the tongue, and may result in profuse bleeding. Rinsing with a mild salt-water solution and a cold compress for comfort are two great tactics to deal with soft tissue injuries, as well as using a tea bag to apply pressure to the site where the bleeding is derived from. Knowing what a few of the most common dental emergencies are and some ways that they can be treated will always be beneficial to anyone who is caught blind sighted by sudden pain. If you are on the road when this happens it is even more frustrating, and you will be in need of emergency dentist help. 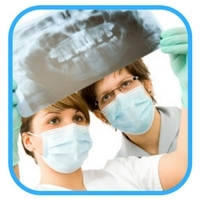 Emergency Dentists USA is here to help for all forms of finding a dentist. Looking for help with same day dentures? We’re here for you! Having the basic knowledge to know generally what is happening with dental emergencies is a great thing to have, but self-diagnosing any of these problems is what can get you into trouble quickly. At signs of any of these conditions, make sure that you don’t rely too much on natural remedies, and see the professional who can get you back on the mend rapidly.